Instead of leaving the Las Vegas country music festival after a sniper opened fire on the crowd, Taylor Winston stayed to help anyone he could. The Marine veteran, who attended the concert with his girlfriend, loaded some of the most critical victims into the bed of a stolen truck and sped to Desert Springs Hospital Medical Center — all before ambulances had arrived on scene. "Once we dropped them off, we were like well, let's go back for round two and go get some more," Winston told "CBS This Morning" during an interview last week. "I transported probably 20 to 30 people injured to the hospital." Winston's brave act caught worldwide attention, as his story quickly spread across social media. Shane Beus, owner of B5 Motors in Gilbert, Arizona, recalled seeing local news reports about Winston days after the shooting. "I started checking him out and the time frame," Beus told CBS News. "I talked to some friends — I have ties over in Vegas — some of my friends were hurt, shot, some saw the whole situation." Beus said he was inspired to reach out to the veteran. He wanted to find a way to say "thank you." "This guy was in the military. He obviously was in a situation where he had to act fast and that's what he did," Beus said. "Most of us that wouldn't even cross our mind. We'd think, 'We have to get the heck out of here.'" 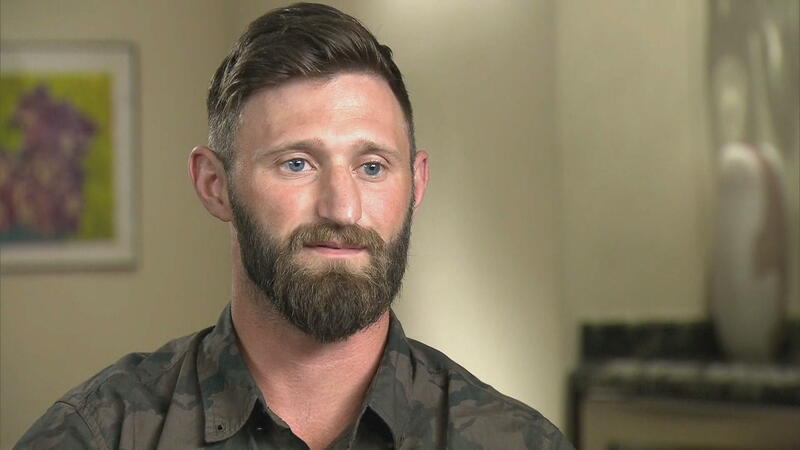 So, B5 Motors enlisted help from social media users to help them find the 29-year-old veteran from San Diego, announcing they would like to give him a "free truck." Within 7 hours, the company said they got in touch with the man. On Friday, Beus arranged for Winston and his girlfriend, Jenn Lewis, to travel to Phoenix. On Monday, he gave the veteran keys to a 2013 Ford F-150, equipped with plenty of features and customized wheels and tires — a $20,000 value. Winston shook Beus' hand, did a little dance as onlookers applauded before driving away in his new vehicle. He told Beus he plans to sell his personal car, donating all of the proceeds to the fund for Las Vegas victims. "He was very, very thankful," Beus said. "The best word to describe him is humble." Winston told "CBS This Morning" he's not a "hero." He saw many people doing good deeds during the deadly attack in Las Vegas. But Beus said Winston's actions should inspire us all..
"It's kindness in the first degree and complete selflessness," Beus said. "I hope people remember their neighbors, their friends, people they don't even know, people they see in restaurants and on streets — there are people who are in circumstances that they don't know. We need to always be sensitive and willing to lend a helping hand."